After receiving a BS in Physics from the Department of Physics at the University of Tokyo in 1994, Professor Tomonori received his PhD in Physics from the same school in 1998. He became an assistant professor in the Division of Theoretical Astrophysics, National Astronomical Observatory of Japan. He served as a Postdoctoral Fellow for Research Abroad at the Department of Astronomy, Princeton University in the United States from 2001 to 2003. Then he became an associate professor in the Department of Astronomy, Kyoto University in 2003. He has been a professor at the University of Tokyo since 2013. The “now” in which we exist is an odd time from the perspective of space. The Nobel Prize in Physics 2011 was awarded “for the discovery of the accelerating expansion of the Universe through observations of distant supernovae.” The recipients used observations of Type Ia supernova, which are characterized by their common brightness, to show that the universe is expanding at an accelerating rate. These observations do not agree with the traditional Big Bang theory. Quite the contrary—in the past, it was thought that the expansion of the universe would decelerate with time. Explaining accelerating expansion within this framework would imply that something is happening to space now, and that something is causing the acceleration. This is currently the greatest mystery in cosmology, and is generally attributed to the effects of something called dark energy. “The strangest thing is that it’s causing acceleration,” says Professor Tomonori Totani. “The next strangest thing is that we humans just happen to be around while that’s going on. It’s a very difficult problem, one that can’t be explained by the laws of physics we have at our disposal.” An answer to this mystery would be “worthy of any number of Nobel Prizes,” and is something that Professor Totani and his many rivals from around the world are racing to find. 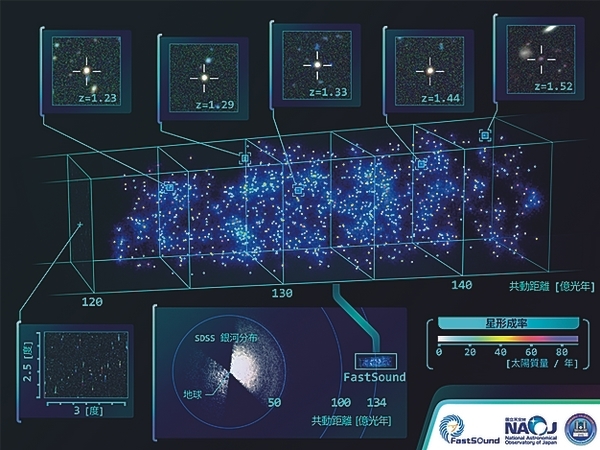 In pursuit of an answer, Professor Totani focuses on creating a three-dimensional map of galaxies as they were about 10 billion years ago. Creating such a map would show the relative position of galaxies in space, allowing the observation of large movements, such as the expansion of space itself, and relatively small movements, like collisions between galaxies. Careful analysis of these movements will allow a better understanding of the large-scale structure of the universe and how it is evolving. “We want to use a three-dimensional galaxy map to investigate how everything is moving to verify gravitational theories,” Professor Todani says. 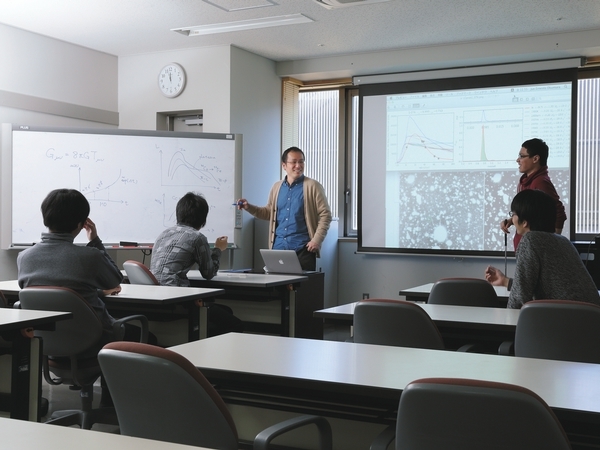 Student Jun Okumura (D3) says about the Totani Laboratory, “There are a lot of theory groups, covering many fields.” The Totani Laboratory performs theoretical research that’s closely associated with the latest observational data, and actively tackles the new mysteries uncovered in that data. The emphasis is on research that uses new ideas and phenomenological models to interpret findings, and on working with observatories to suggest new observations based on theoretical predictions. “We want to be the Google or the Apple of the world of astronomy,” says Professor Totani. The Totani Laboratory is a factory for ideas that take on the greatest mysteries in the cosmos. A three-dimensional map of the structure of the universe when it was 4.7 billion years old, covering a 2.5° vertical, 3° horizontal slice of sky. The objects shown have a co-moving distance of 12.0–14.5 billion light years (light-travel distance of 8.0–9.6 billion light years) from Earth. The colors of galaxies indicate their star formation rate (the number of solar masses worth of new stars born each year), and the blue background corresponds to the number density of galaxies. The upper area shows images and red-shifts of five galaxies.